If you’ve read my blog on daily incantations you will know that incantations are one of the most powerful tools to condition new beliefs and if you say something to yourself over and over again it changes a thought into a habit which then leads to an engrained self-belief. On this basis, why would you ever say anything negative about yourself? Often we are quick to criticise ourselves for having said the wrong thing or having done something without thinking it through. We set high expectations or goals that we fall short of and then beat ourselves up about it. These self-judgemental barriers often prevent us from loving ourselves. Most of us look in the mirror every morning and what do we do? We point out our flaws, we go over past failings in our head and put ourselves down! Do you want this to be your first action every morning? WHY? It’s time to change that! It’s time to start telling yourself that you did the best you could, that you gave it your best effort and that circumstances often have a major part in how were react. Forgive yourself. Give yourself benefit of doubt. Starting every day with feelings of guilt, shame or remorse is never going to lead to happiness. If you can’t show yourself compassion and forgiveness there will always be barriers in your way – barriers that you have put there yourself. How are you supposed to love yourself with a negative attitude and demoralising self-talk? Start to feel successful and experience wonderful things by snapping out of negative self-talk. If you do find that you can’t let go of the negative emotions talk to someone – a friend, a priest, a confidante. By taking control of your own thoughts and allowing yourself to show compassion and love you are also showing others the way you want to be loved. Check out this article from Deepak Chopra on 7 ways to learn how to love yourself which explains how Like attracts Like, and the more you live your own ideal of love, the more your light will draw another light to you. In order to make loving yourself easier you have to take action. Fill your day with happy thoughts about yourself and do things that show that you care for yourself! Choose your daily thoughts with consideration with even a simple act like smiling in the mirror and forgiving yourself for whatever went wrong the previous day. Start your morning with positive self-talk and create a wonderful relationship with yourself. You deserve love. Give yourself love and feel what it is like to be loved. Love yourself with no conditions attached. 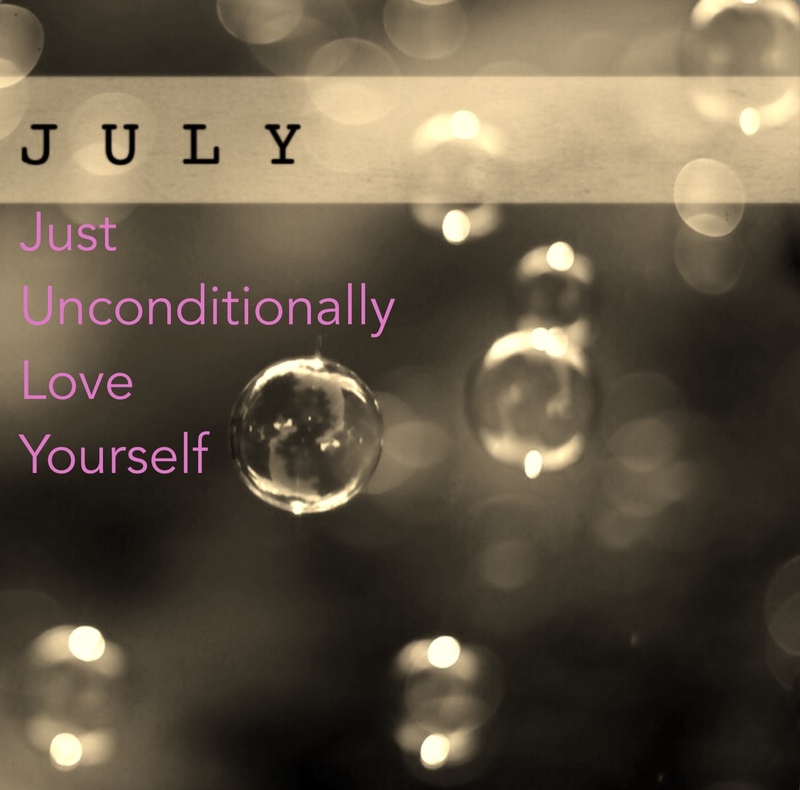 Set yourself a JULY challenge – make a chart and write in what you will do each day to love yourself unconditionally. It may be that you choose to have a positive heart-warming song as your alarm ringtone, make a romantic breakfast for yourself or spend an extra 5 minutes pampering yourself in the morning. Don’t be afraid to love yourself and show it! What’s it like to reinvent yourself? Reinventing ourselves opens up new possibilities as our mind is more open to new experiences and new way of seeing things. In the same way that you can transform a room by adding a new paint colour, our lives can be transformed just as quickly and as easily with just as much impact. A fresh approach to how we do something helps create new energy and it fills us with an attitude of eager anticipation as we look forward to each new day. Some may view reinvention as rather false, especially when you look at celebrities who have portrayed one image and have then changed their image to present something new. However one thing is certain and that is that people who reinvent themselves are not resistant to change. In a society where life changes continually it is good to reinvent yourself. You may know of someone who has transformed their career – perhaps had a revamp of their website, a rebrand of their image or their values. There are many ways in which people reinvent themselves – taking up a new challenge, a change in jobs, learning a new set of skills. For those wishing you to reinvent their business, taking control of your personal brand may mean the difference between an unfulfilling job and a rewarding career. If redefining your personal brand, you need to be really clear about what your goals are so you use your time and energy wisely. Have a look at what your unique selling point is and look at ways in which you will get your message out – adverts in local paper or on radio, social media, website etc. 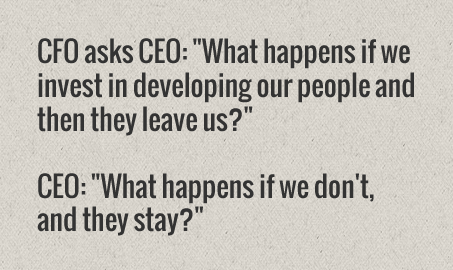 A transformation of our self or our business can bring new learning and a sense of excitement. It can help us be more open to attracting new customers or creating new business links. If you’re thinking of redefining your brand, don’t be afraid to reach out for help. You will know what you want and the life/business coaching that I offer can help you refocus your goals and purpose. In essence, life is an adventure and we shouldn’t be afraid to embrace change. Every time that we do we gain new knowledge and insight. 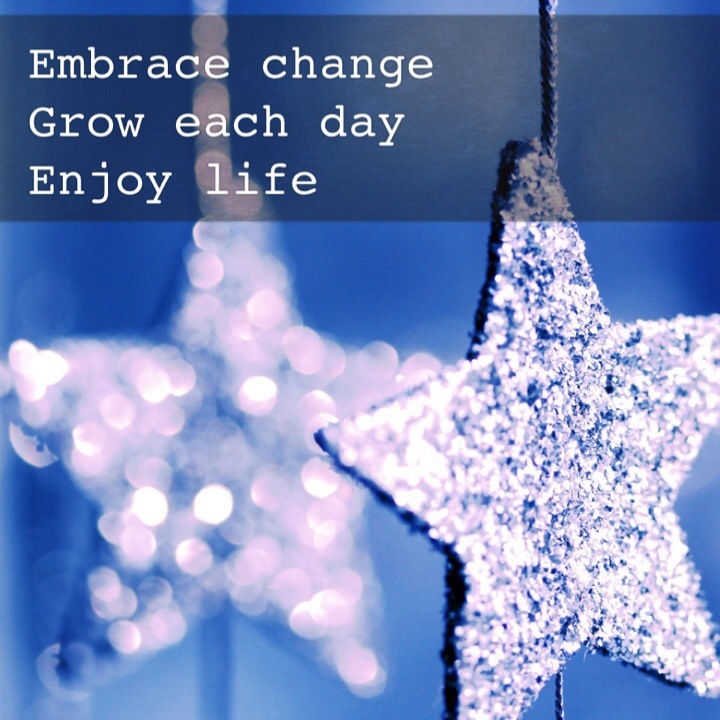 Embrace change, grow each day & enjoy life! Reinvent yourself for the better and as you change, things will start to change for you. How have you reinvented yourself over the years? If you enjoyed this article, you may also wish to read Living a wonderful life. You can also keep up to date on Facebook & Twitter.